January 8, 2014 (Source: Businesswire) — Uranium Resources, Inc. (Nasdaq:URRE) has retained Wendy Yang to provide investor relations services for the Company. Ms. Yang will support URRE’s management team in raising the Company’s profile in the investment community and enhancing shareholder communications. Ms. Yang brings to URRE over 25 years of public markets and mining experience having led investor relations programs for small to large capitalization mining companies. Ms. Yang was recently the Vice President of Investor Relations for Coeur Mining and previously served in investor relations roles for several other mining companies, including Brigus Gold, Newmont Mining, Stillwater Mining and Santa Fe Pacific Gold. Ms. Yang will serve URRE under a non-exclusive consulting agreement. Uranium Resources, Inc. explores for, develops and restores uranium projects. URI has over 206,600 acres of uranium mineral holdings in New Mexico, processing facilities and properties in Texas, and an NRC license to recover up to three million pounds of uranium per year using the in situ recovery (ISR) process. The Company acquired these properties over the past 20 years, along with an extensive information database of historic drill hole logs, assay certificates, maps and technical reports. For further information about Uranium Resources, please refer to our website at www.uraniumresources.com. This news release contains forward-looking statements within the meaning of the Private Securities Litigation Reform Act of 1995. Forward-looking statements are subject to risks, uncertainties and assumptions and are identified by words such as “expects,” “estimates,” “projects,” “anticipates,” “believes,” “could,” and other similar words. 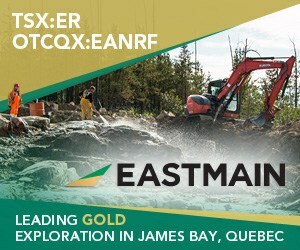 All statements addressing operating performance, events or developments that the Company expects or anticipates will occur in the future, including but not limited to statements relating to the Company’s mineralized uranium materials and the planned recovery at the Company’s properties are forward-looking statements. Because they are forward-looking, they should be evaluated in light of important risk factors and uncertainties. These risk factors and uncertainties include, but are not limited to, the Company’s ability to raise additional capital in the future, spot price and long-term contract price of uranium, the outcome of negotiations with the Navajo Nation, the Company’s ability to reach agreements with current royalty holders, weather conditions, operating conditions at the Company’s projects, government and tribal regulation of the uranium industry and the nuclear power industry, world-wide uranium supply and demand, availability of capital, maintaining sufficient financial assurance in the form of sufficiently collateralized surety instruments and other factors which are more fully described in the Company’s documents filed with the Securities and Exchange Commission. Should one or more of these risks or uncertainties materialize, or should any of the Company’s underlying assumptions prove incorrect, actual results may vary materially from those currently anticipated. In addition, undue reliance should not be placed on the Company’s forward-looking statements. Except as required by law, the Company disclaims any obligation to update or publicly announce any revisions to any of the forward-looking statements contained in this news release.